Soil Technology Book from C.H.I.P.S. 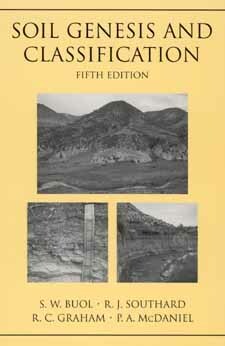 Soil Genesis and Classification reviews a spectrum of soil classification systems and presents the culmination of more than two decades of testing and revisions in the U.S. Soil Taxonomy, the most detailed and comprehensive system for soil classification. The new nomenclature and systematic structure of soil classification categories is included, as well as new analytical techniques to more quantitatively identify soil properties and define class limits in Soil Taxonomy.